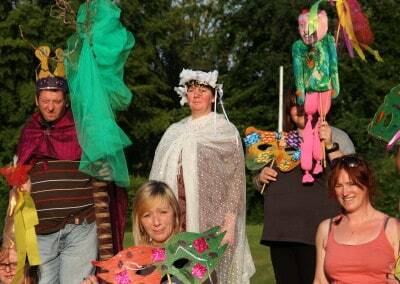 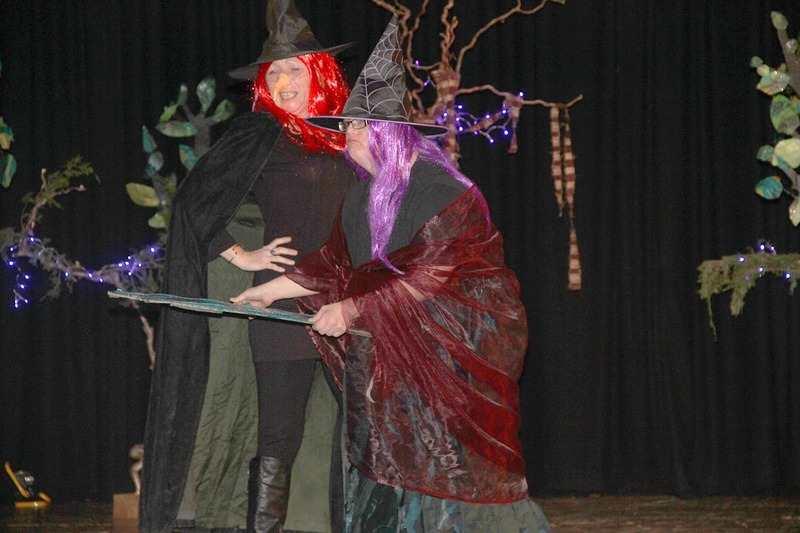 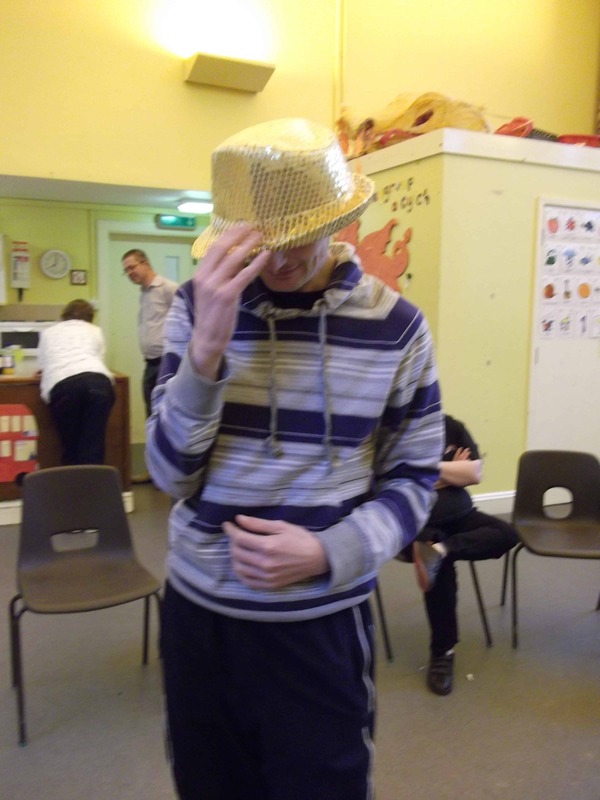 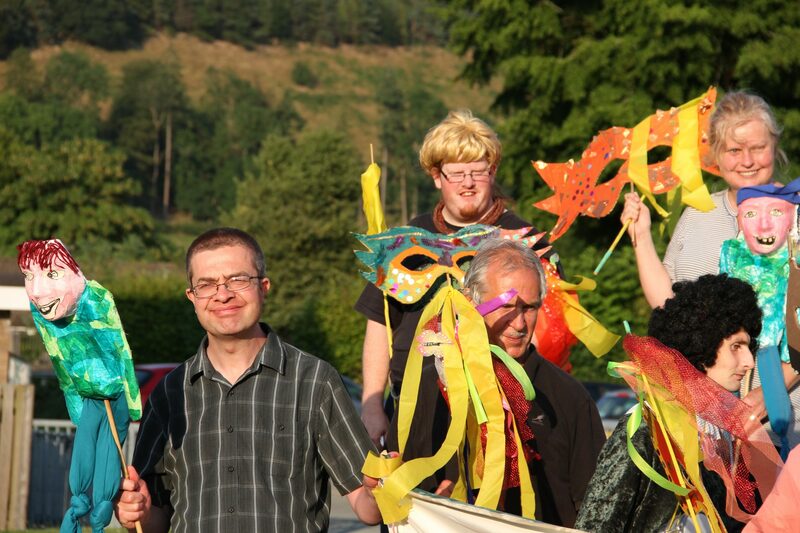 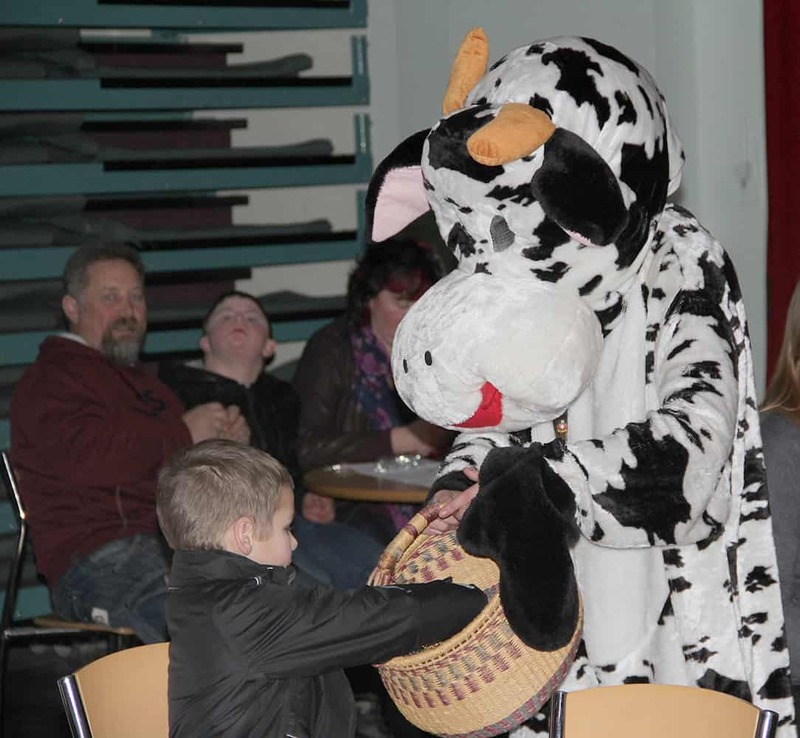 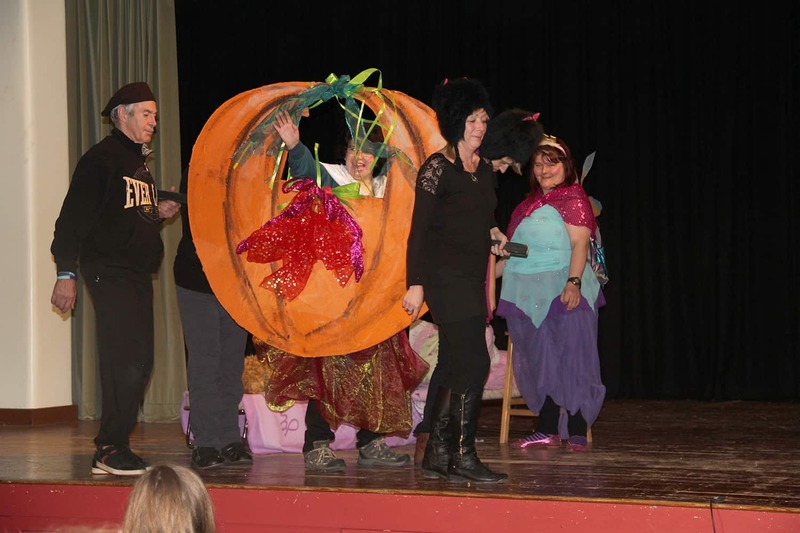 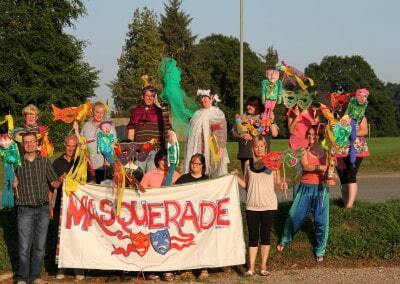 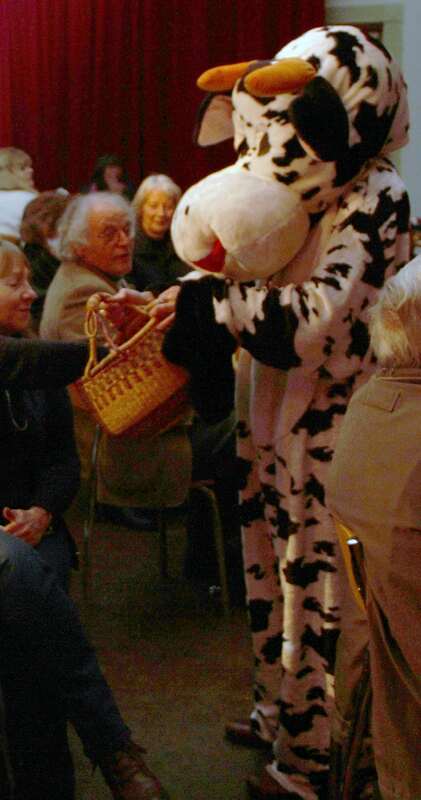 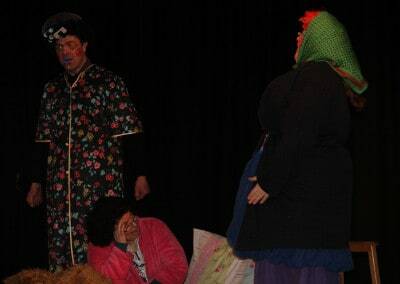 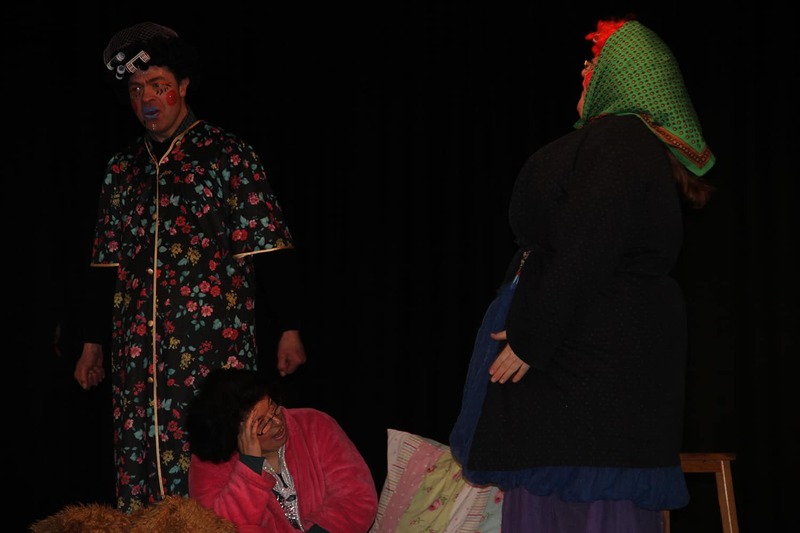 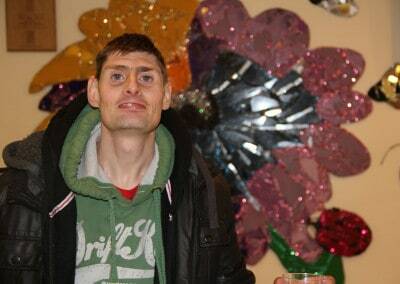 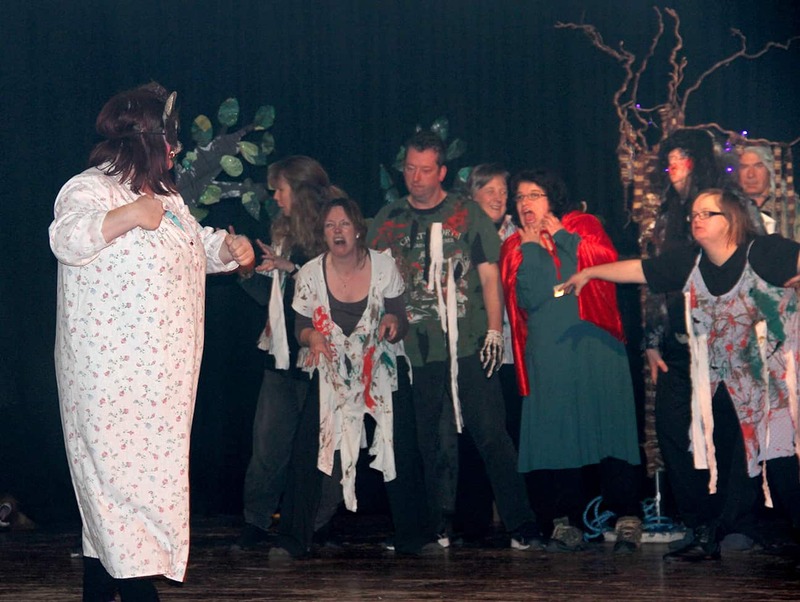 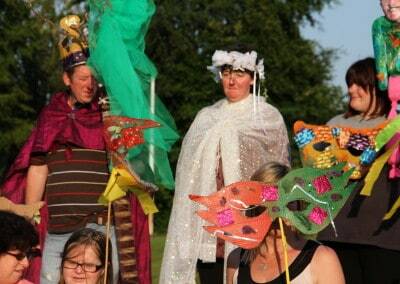 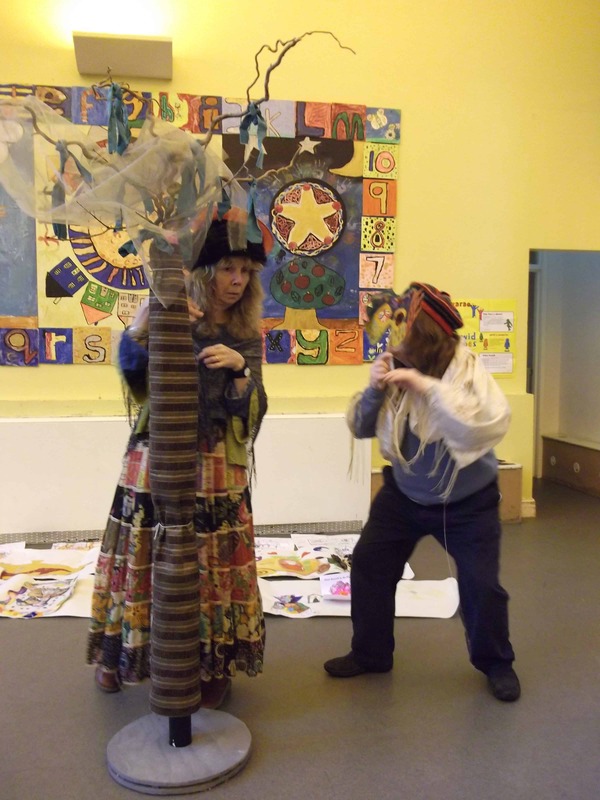 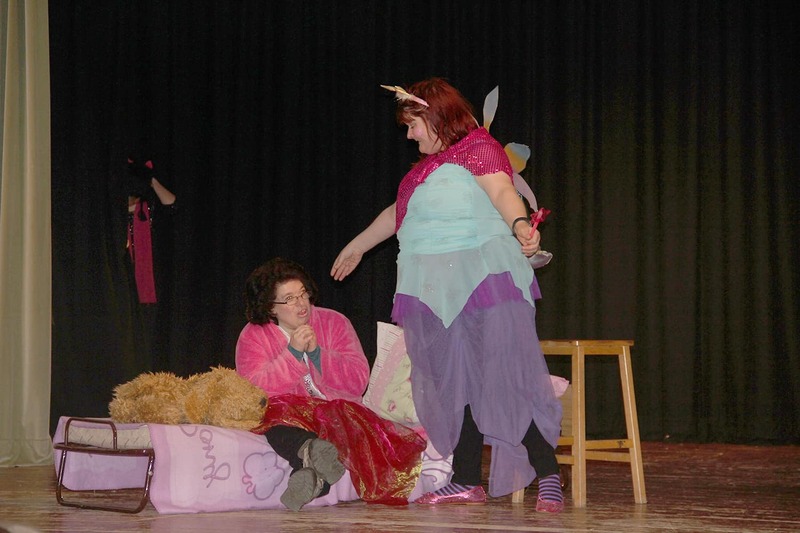 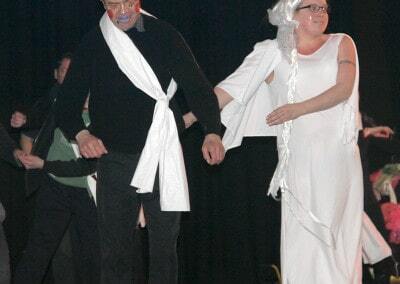 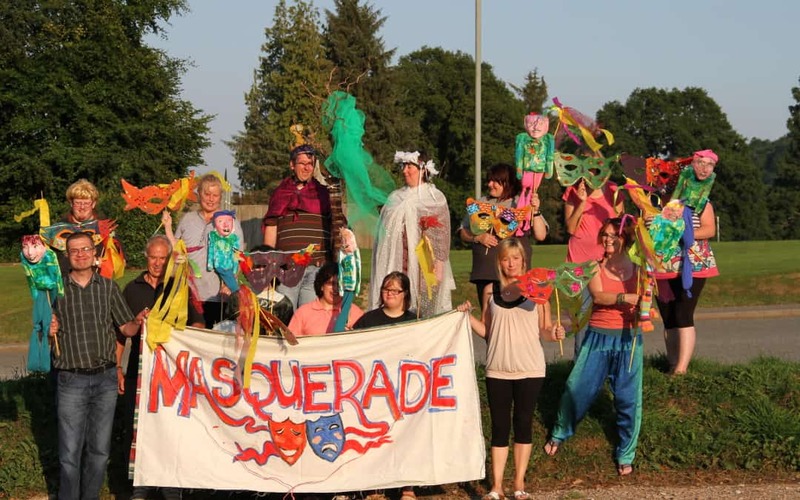 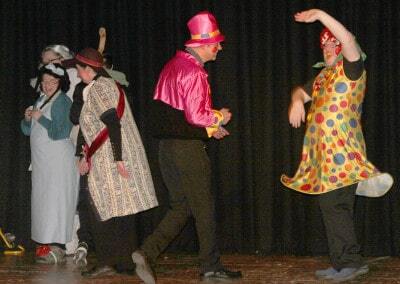 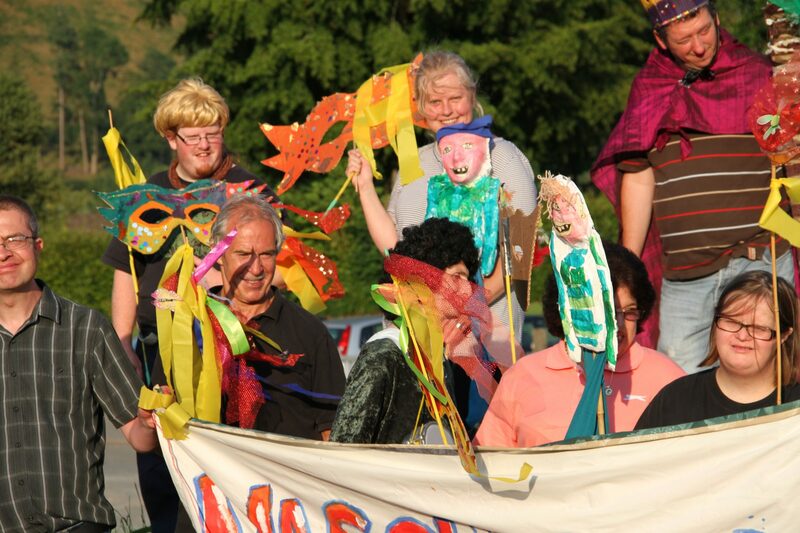 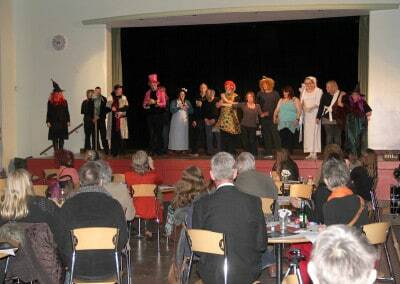 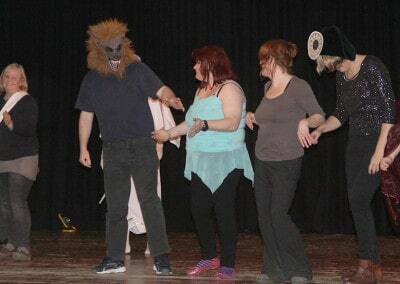 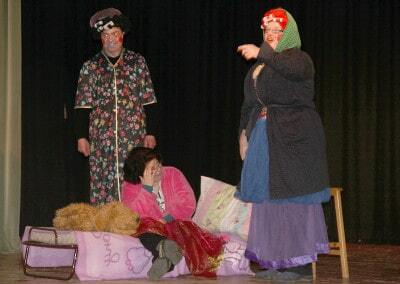 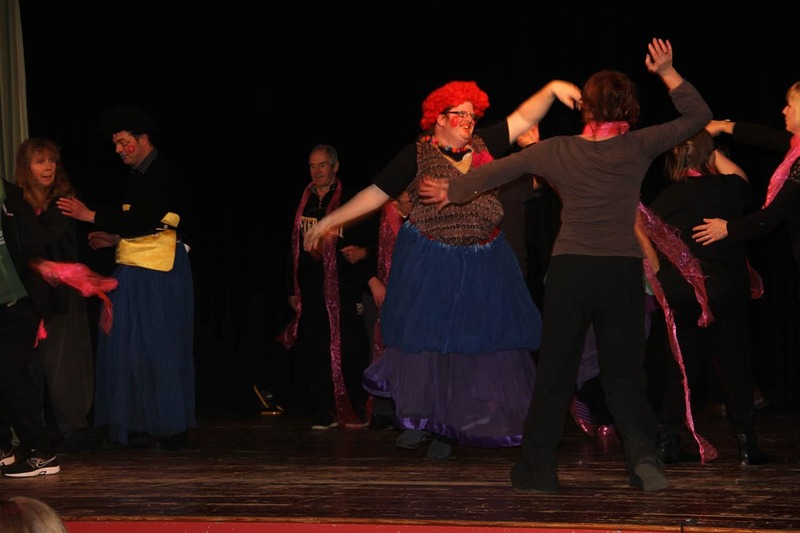 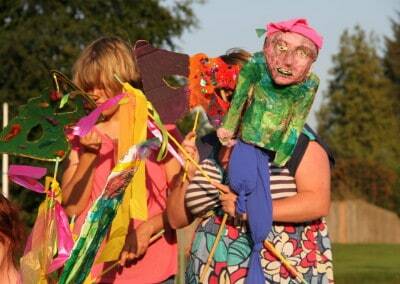 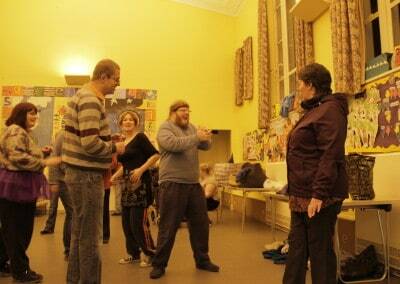 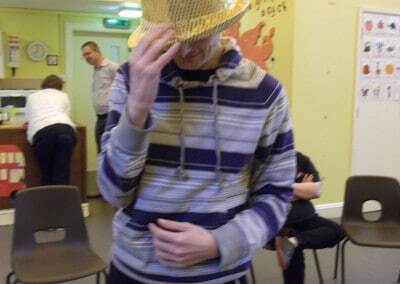 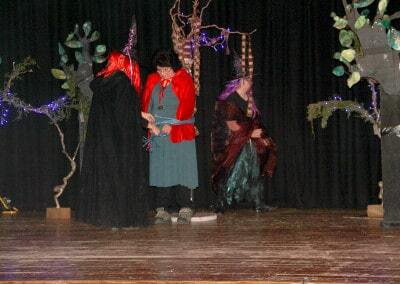 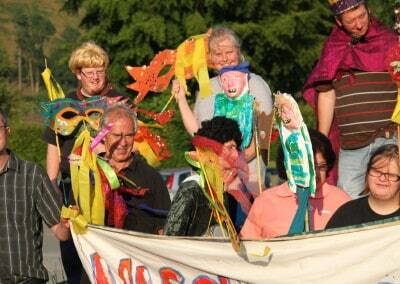 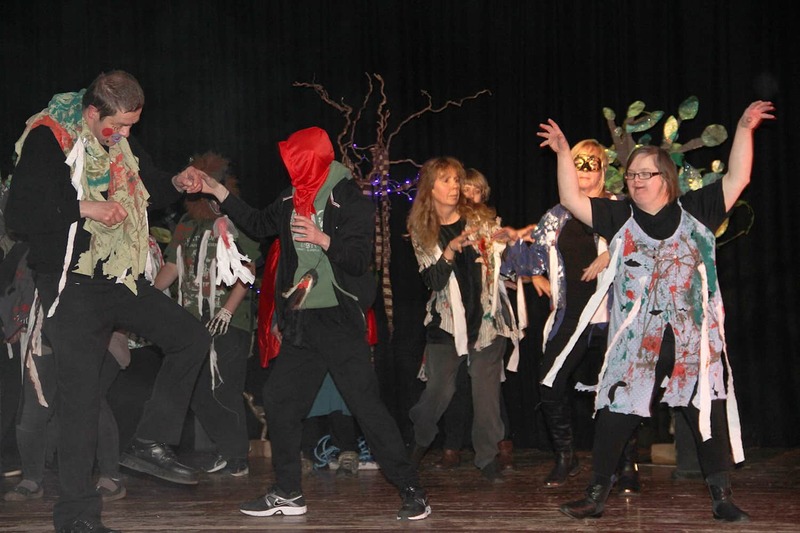 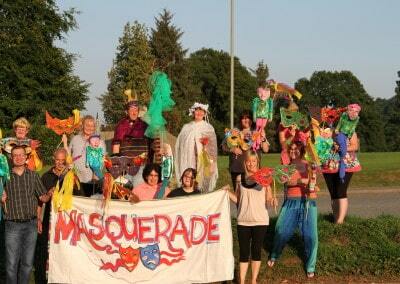 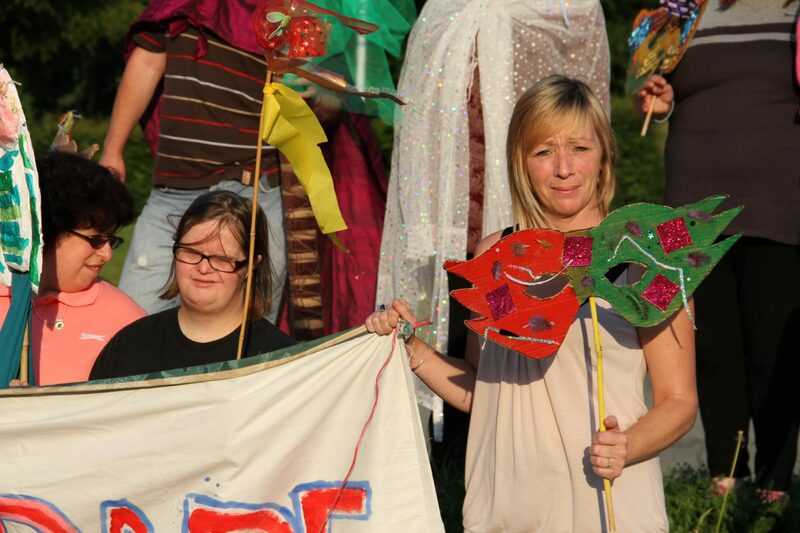 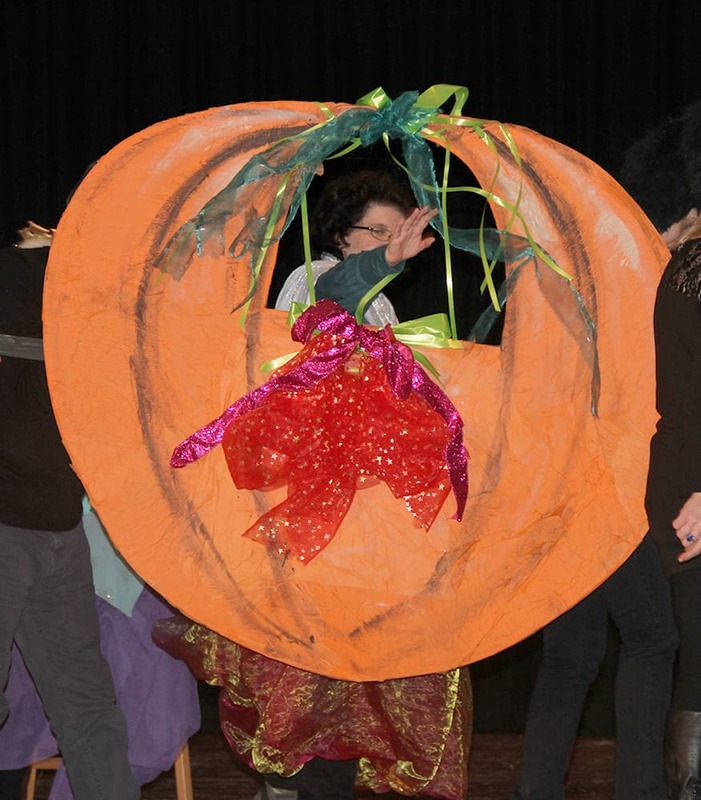 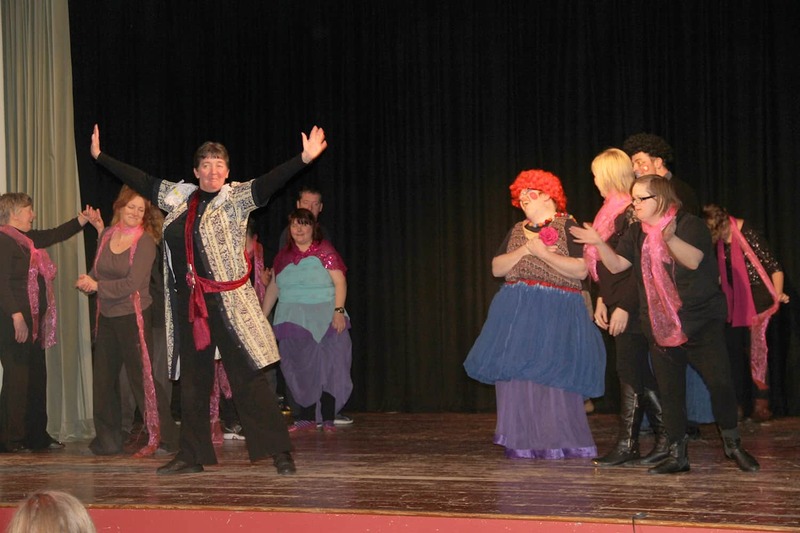 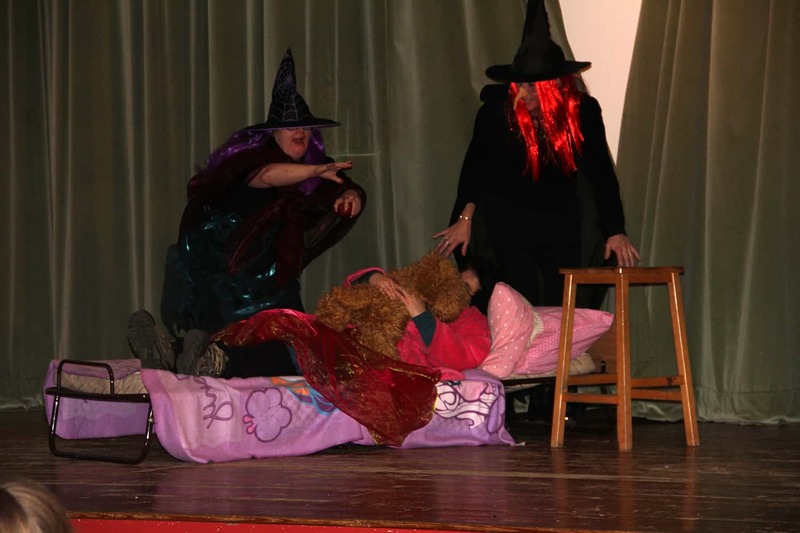 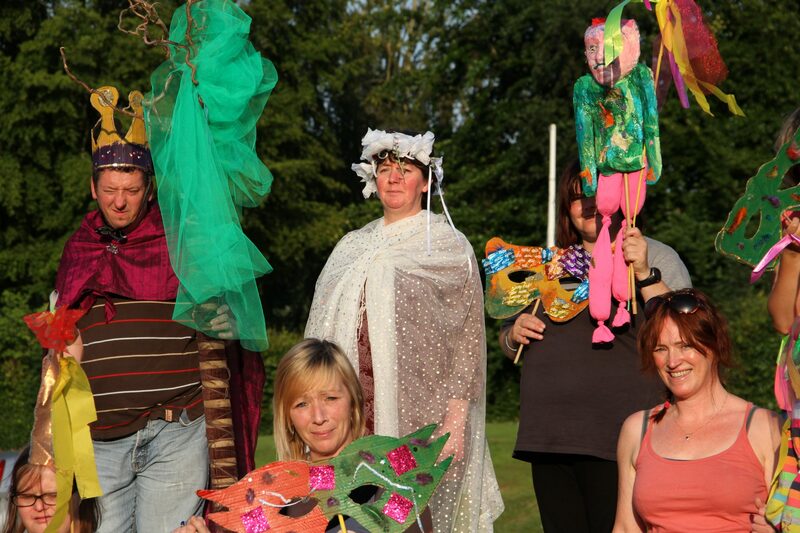 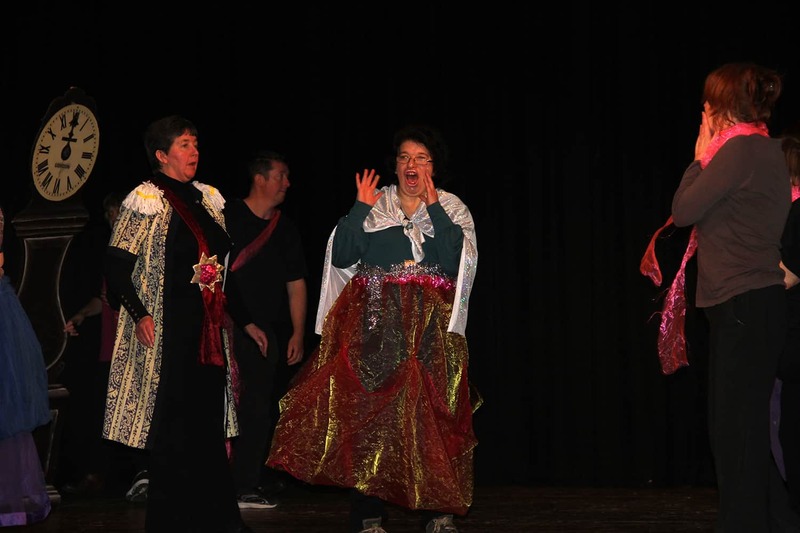 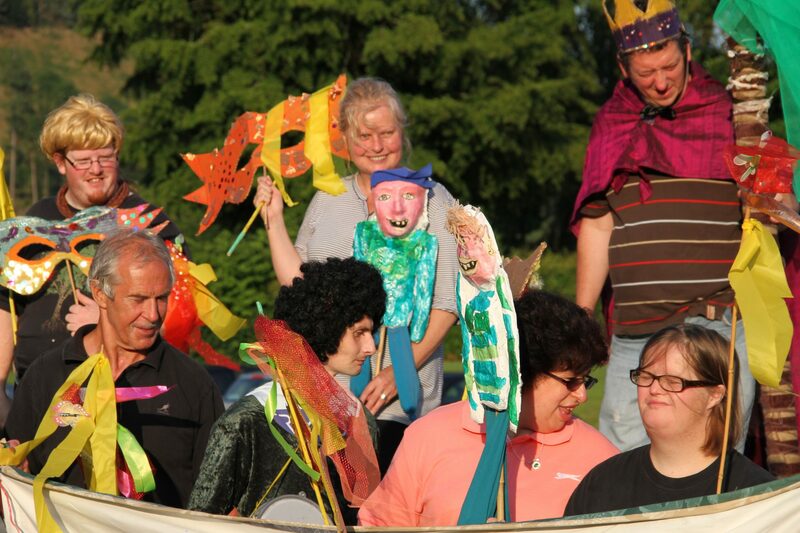 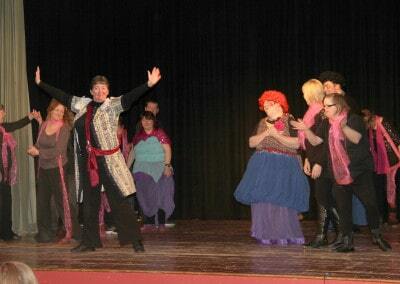 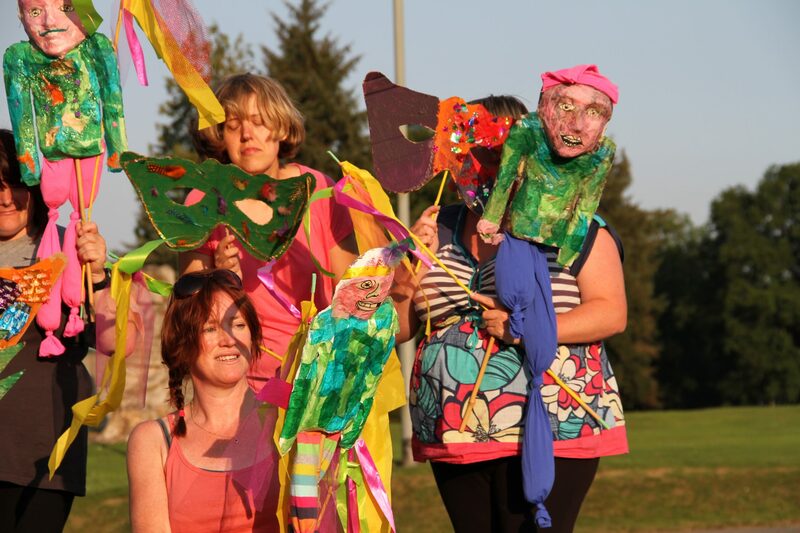 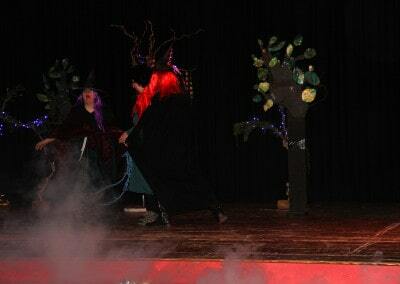 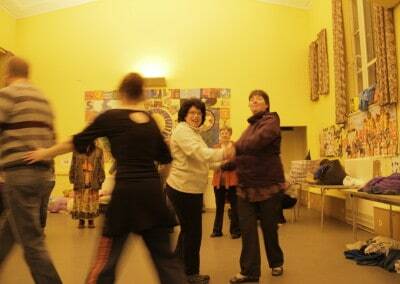 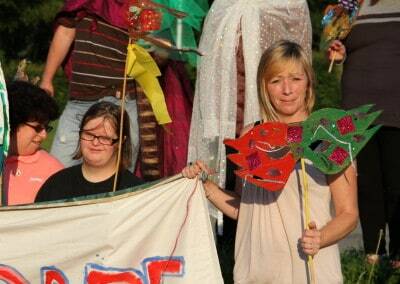 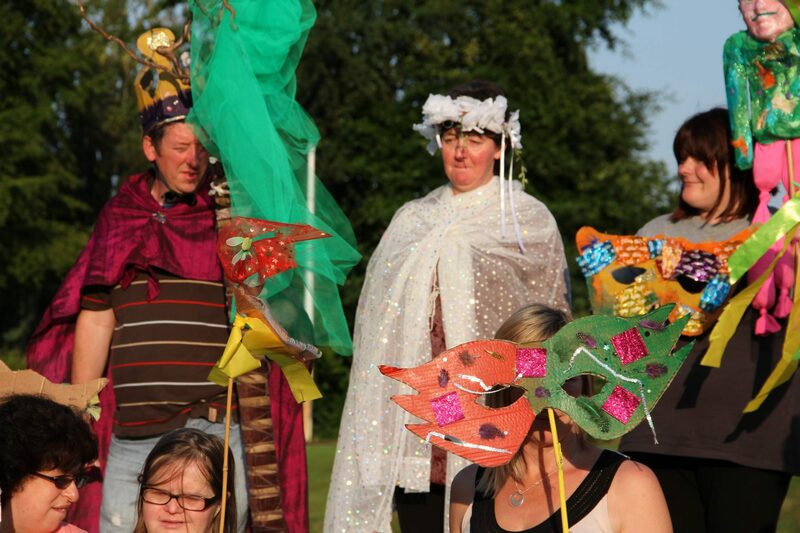 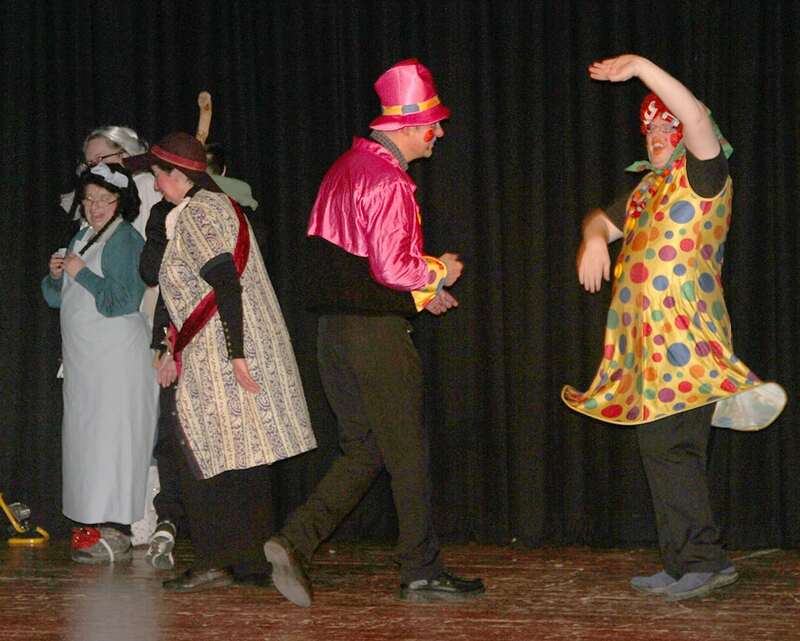 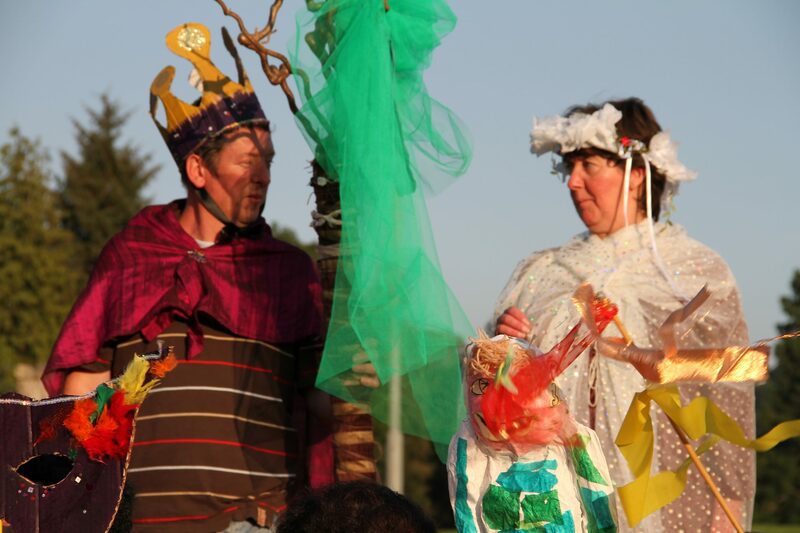 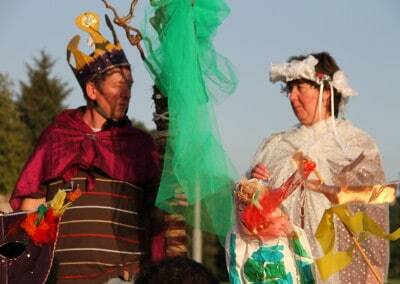 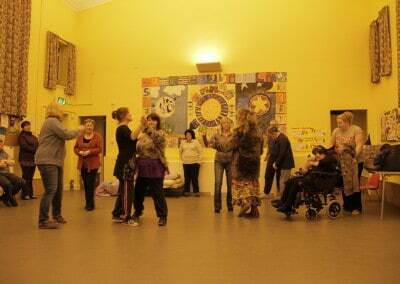 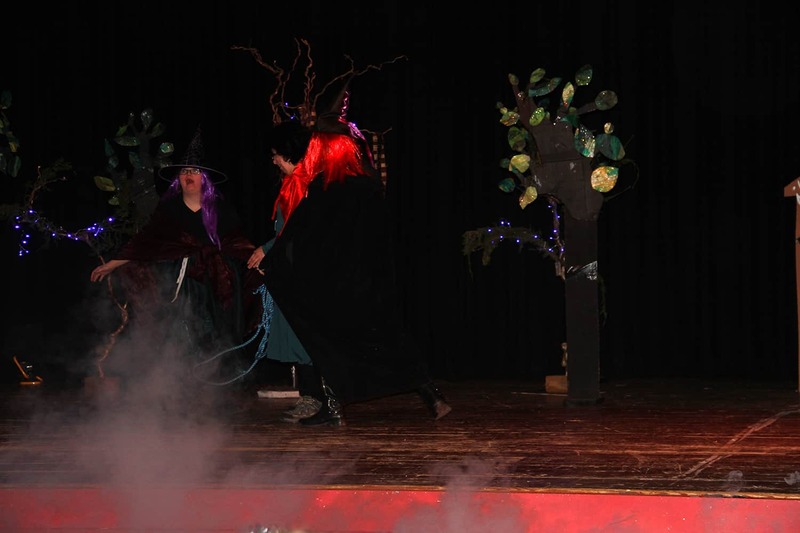 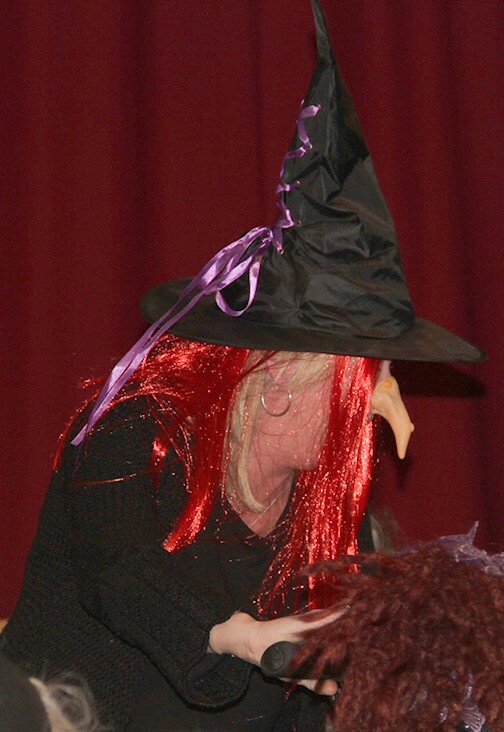 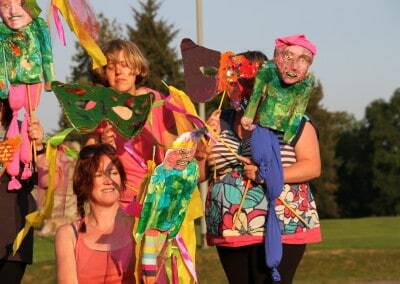 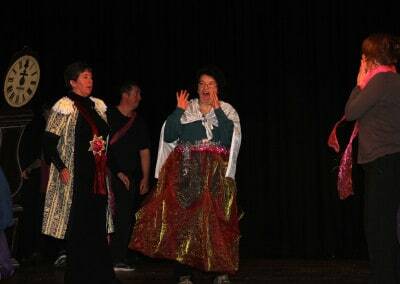 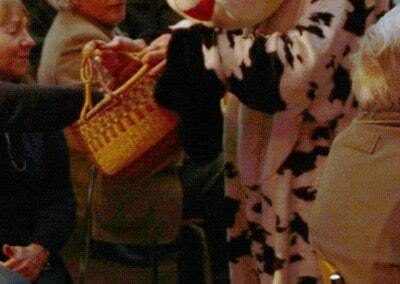 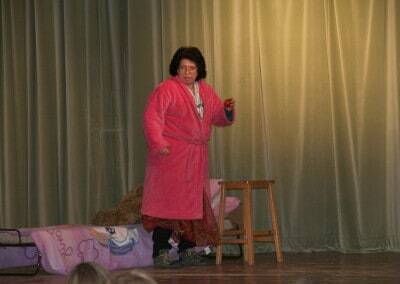 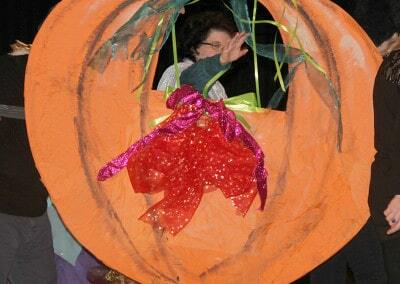 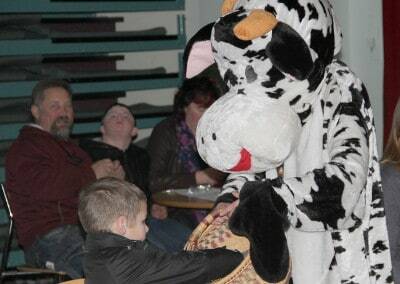 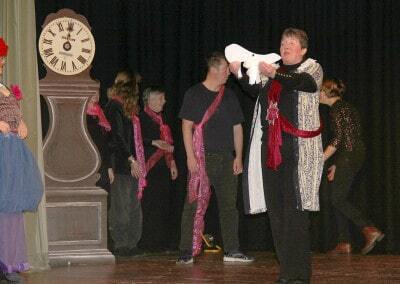 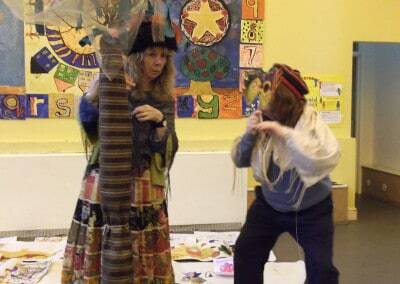 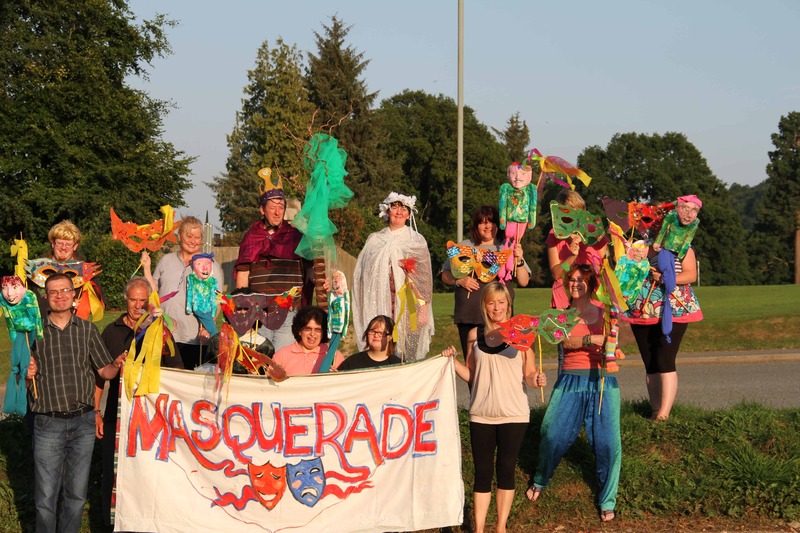 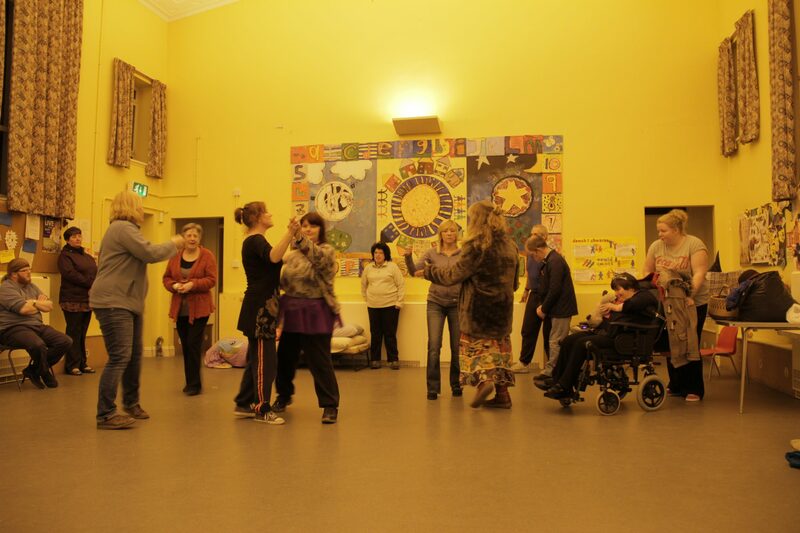 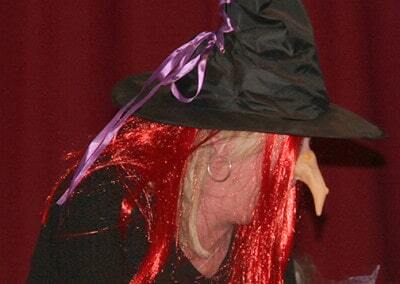 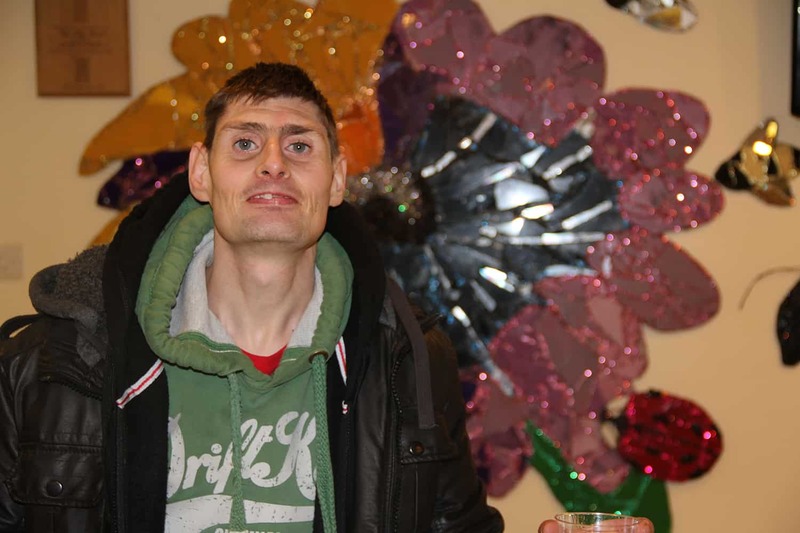 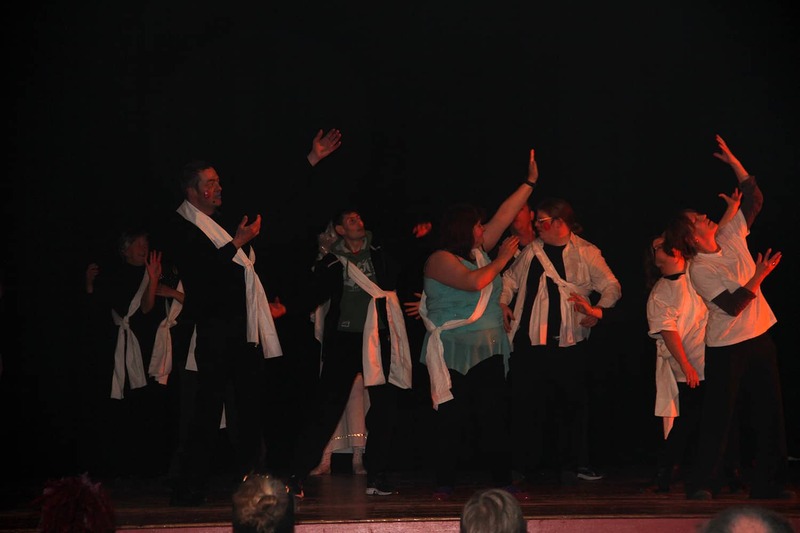 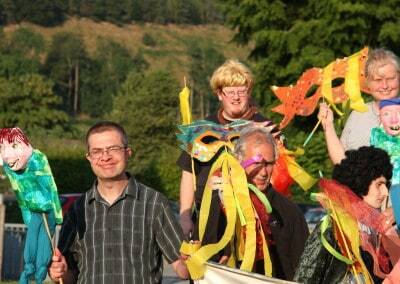 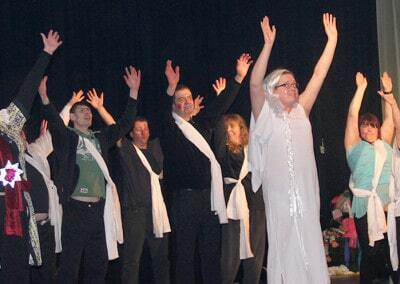 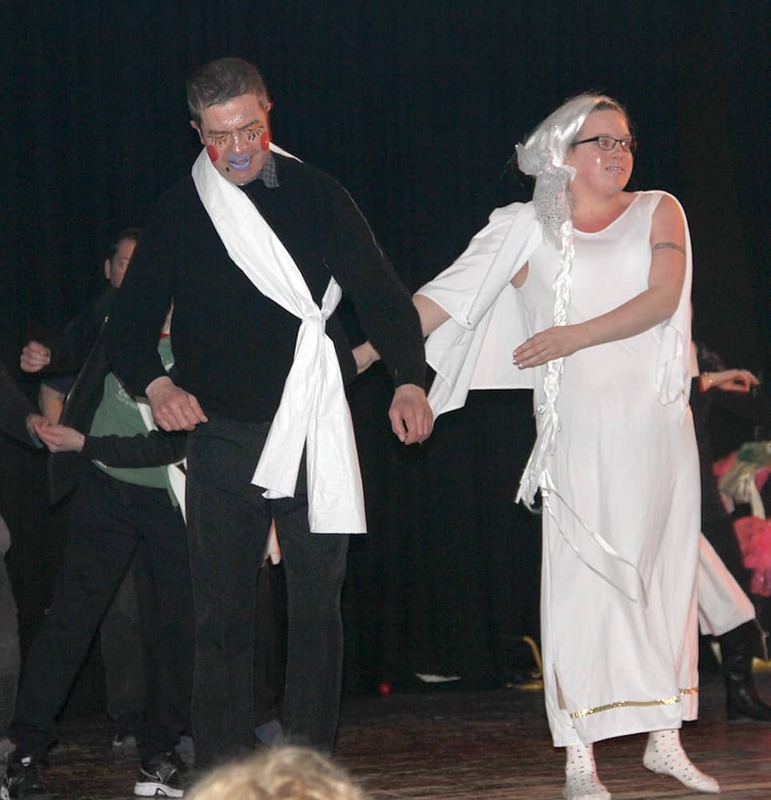 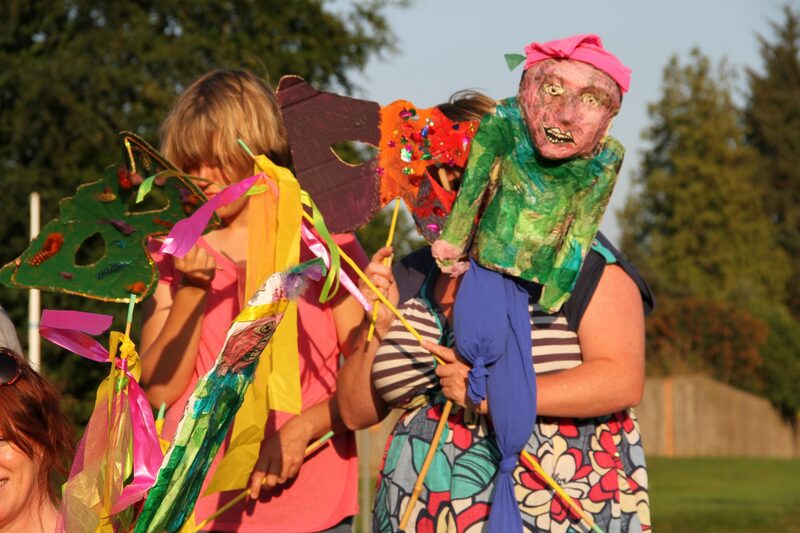 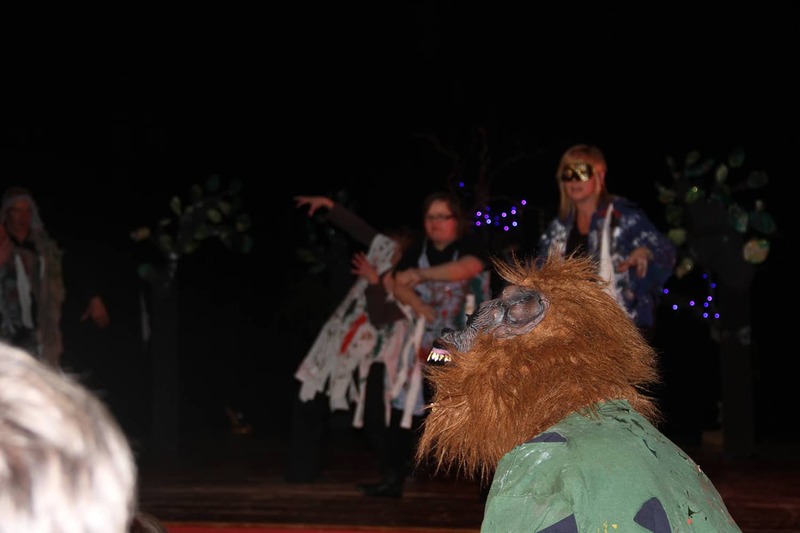 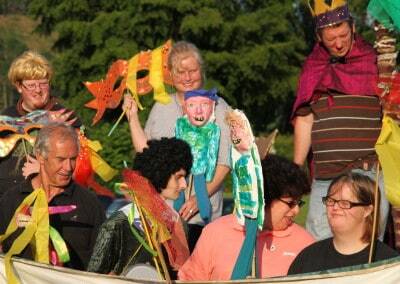 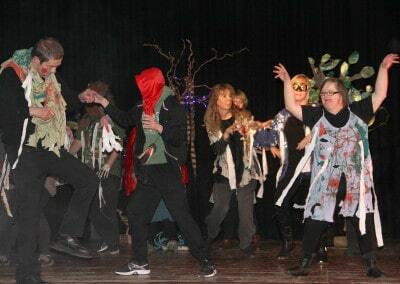 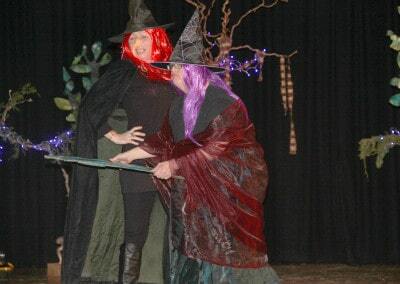 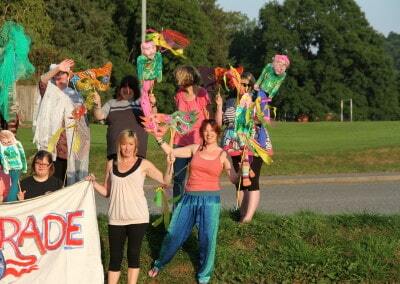 Masquerade is a drama and arts group for all ages and abilities. 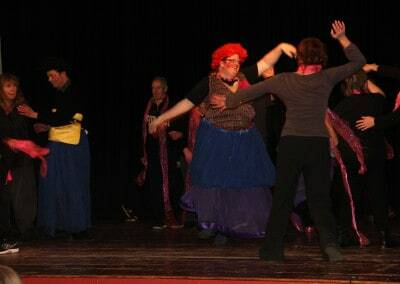 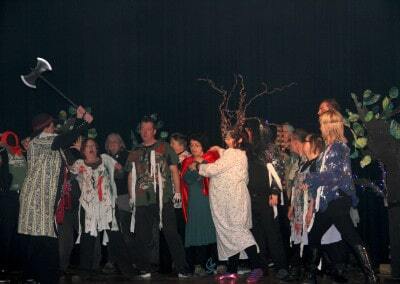 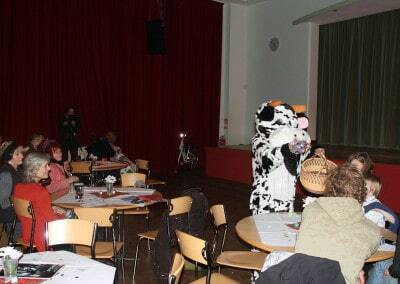 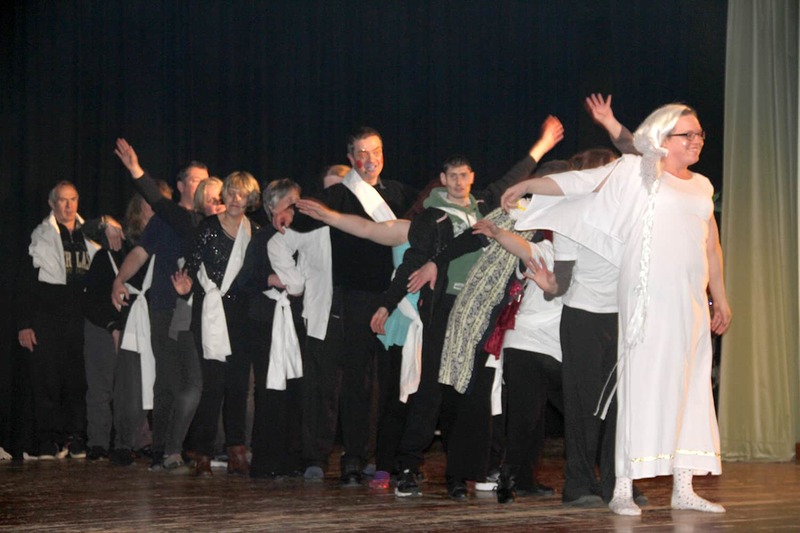 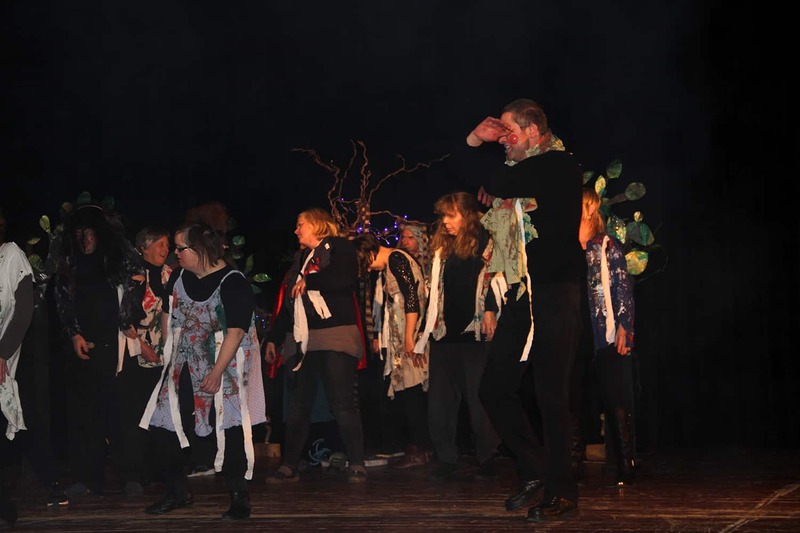 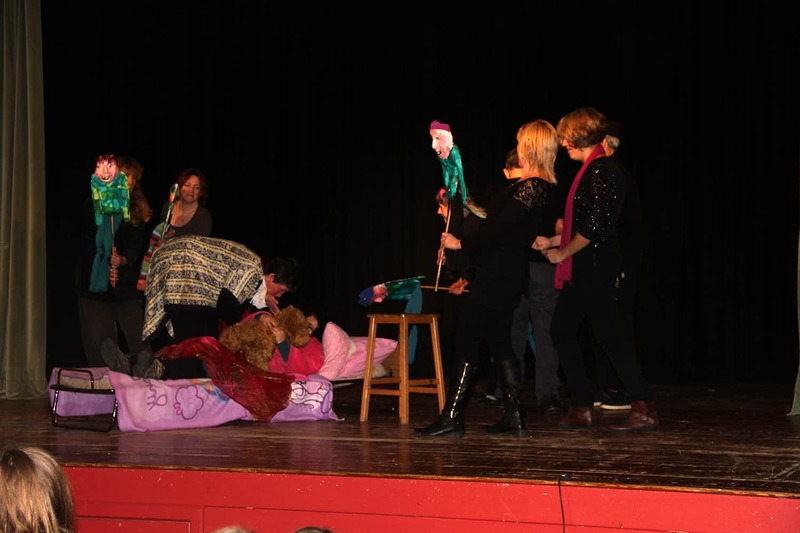 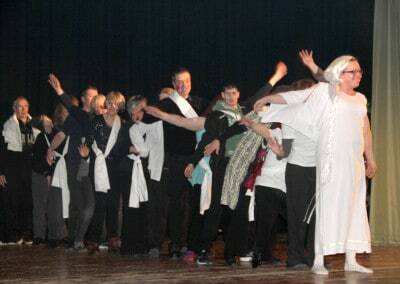 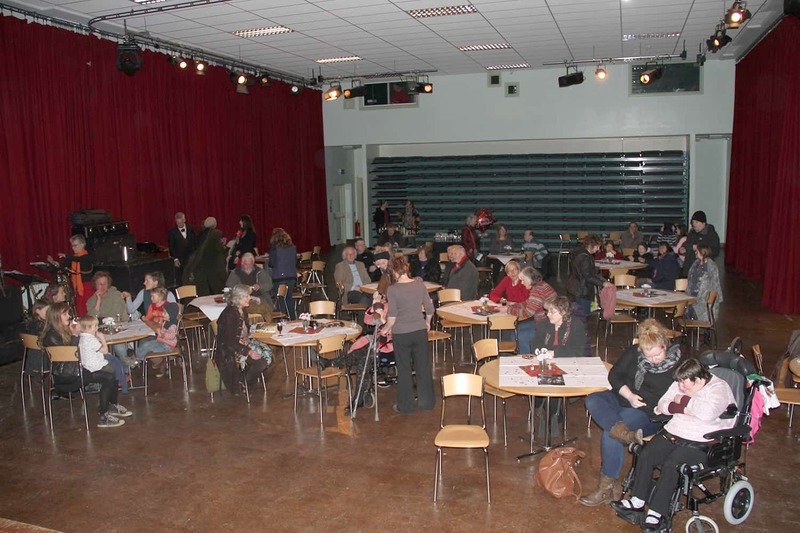 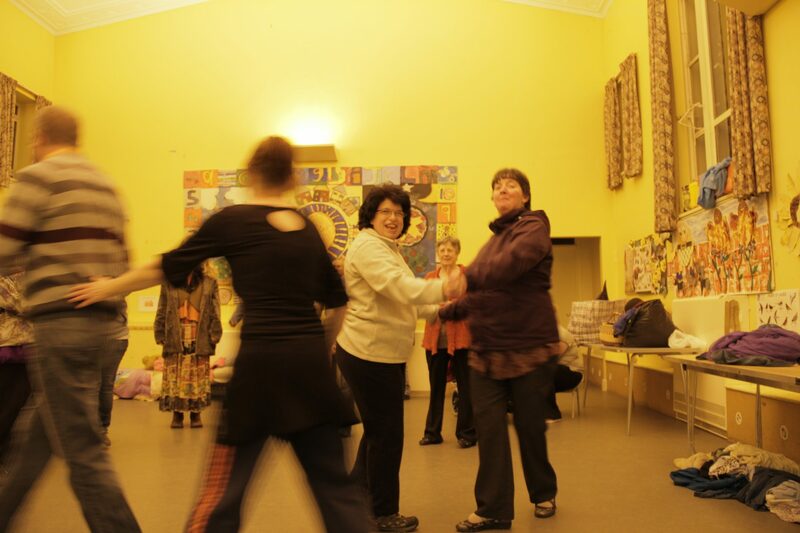 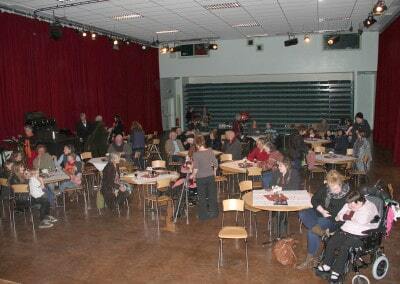 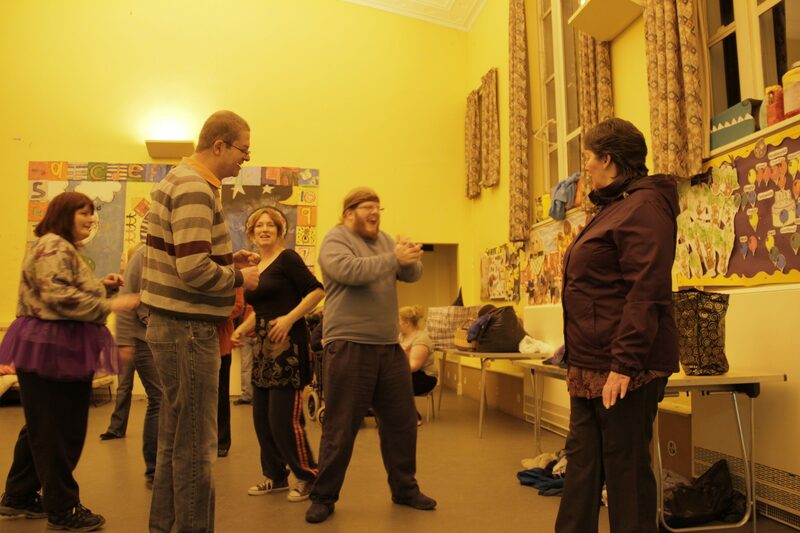 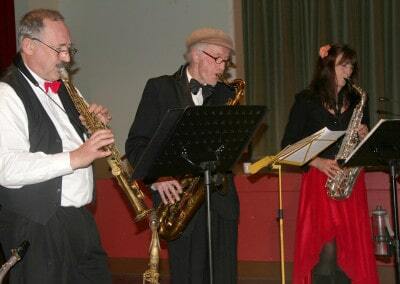 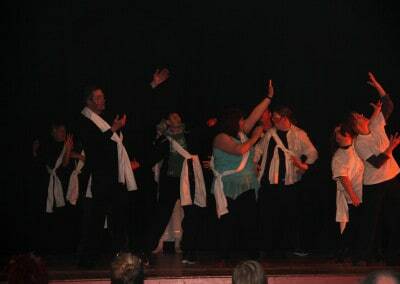 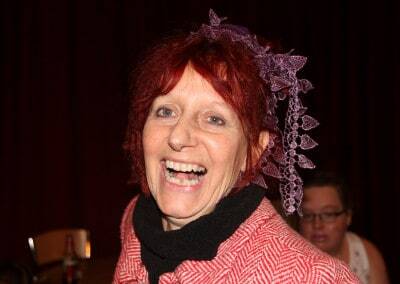 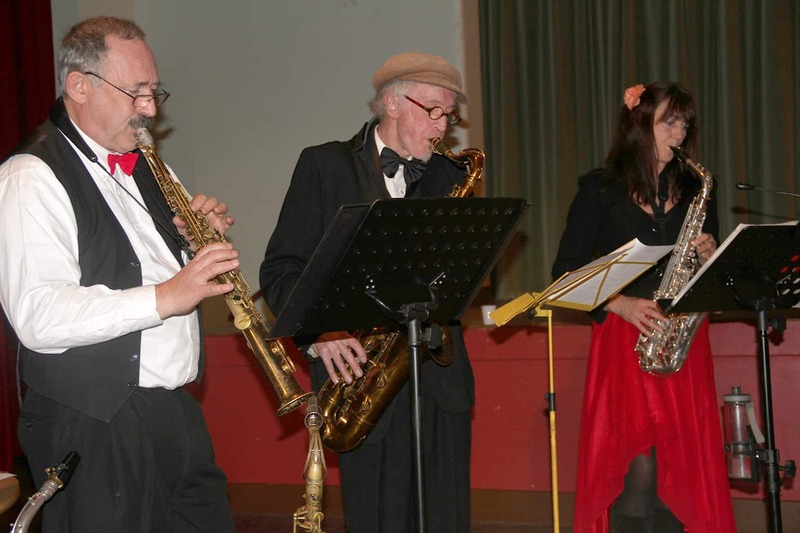 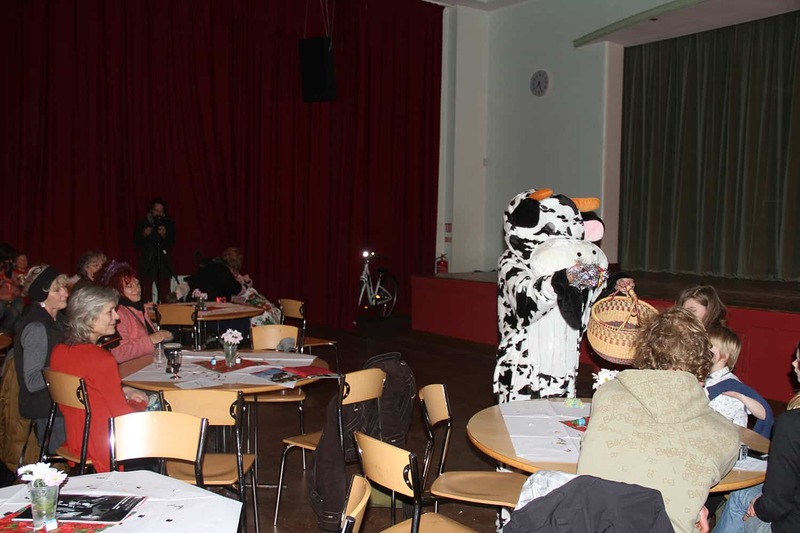 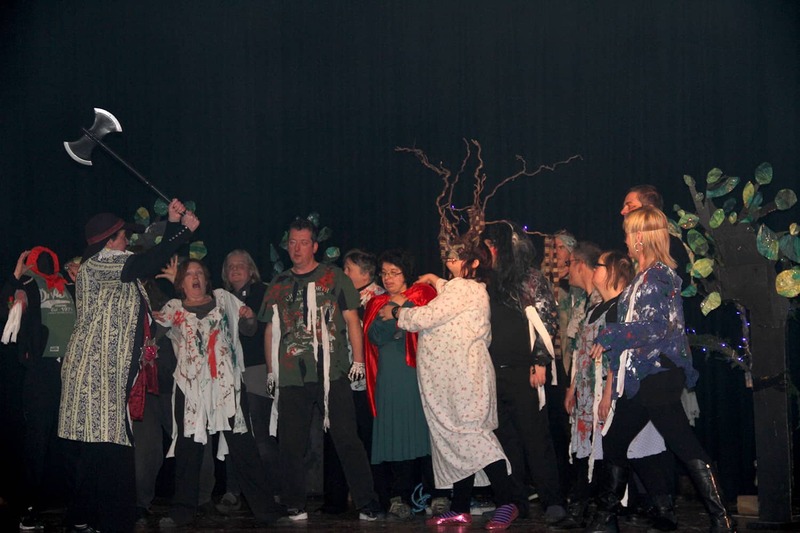 From September 2013 the group worked on putting together their Christmas performance, Around the World in 59 Minutes, which they performed on Saturday 7th December at Theatr Llwyn to an appreciative audience of more than 70 people. 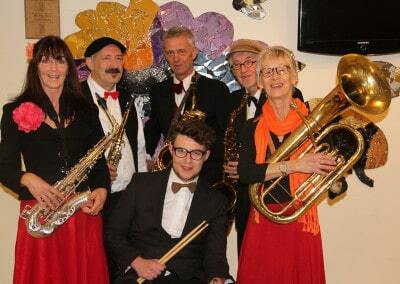 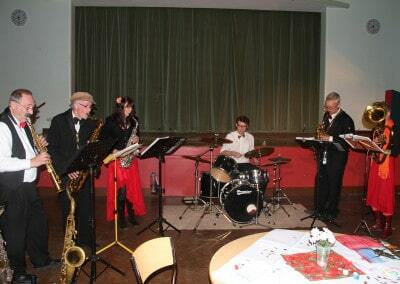 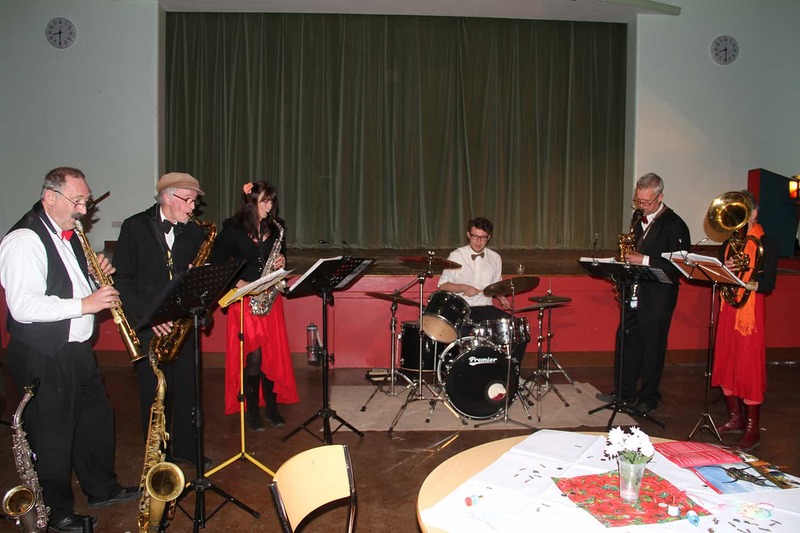 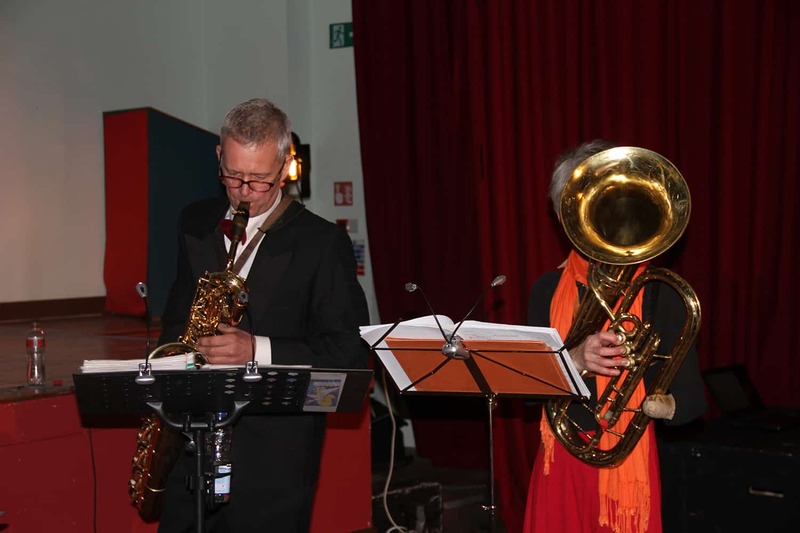 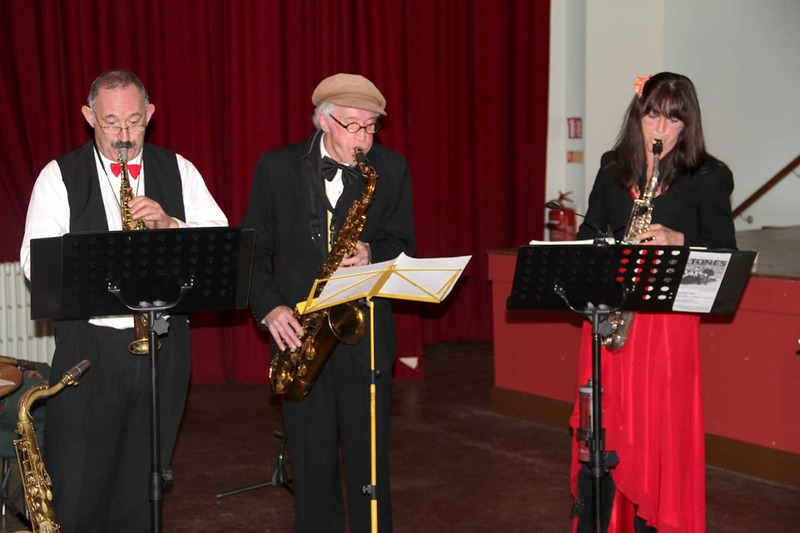 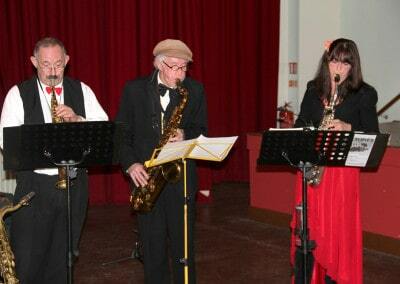 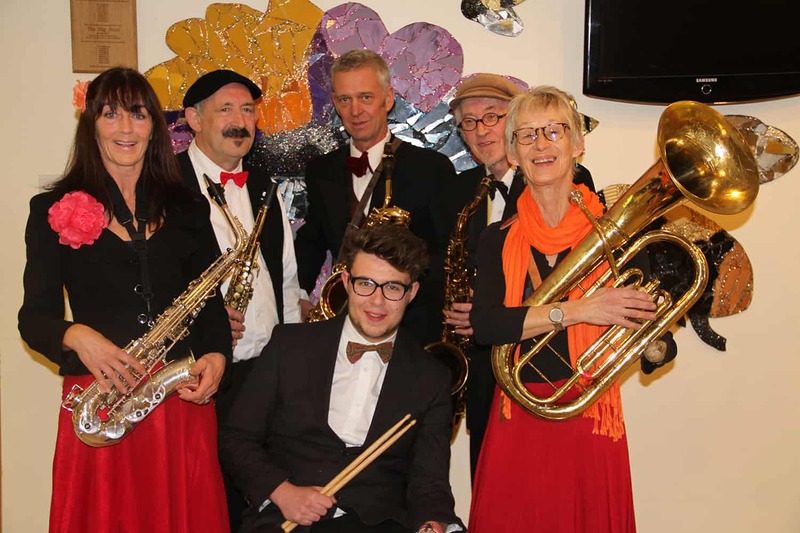 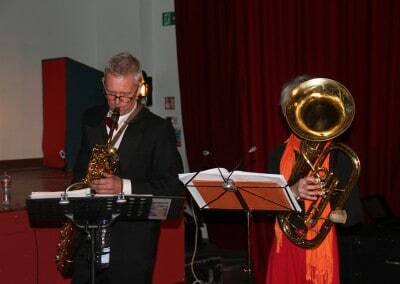 They were supported by the Beltones, a brass group, which was a fitting finish to the project for 2013. 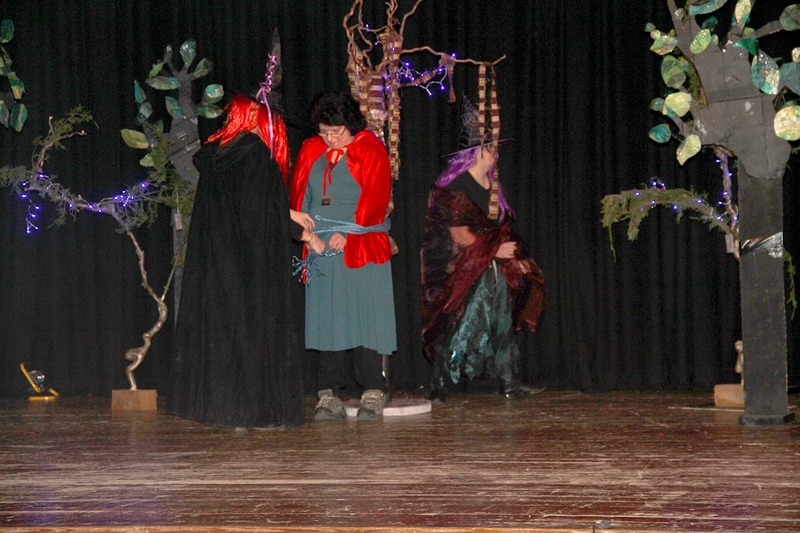 The group began their 2014 season looking at myths and legends. 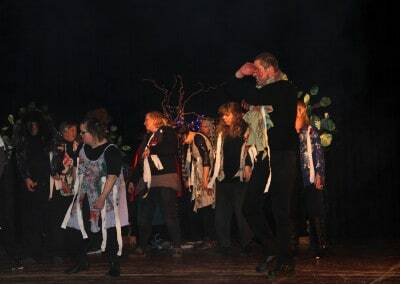 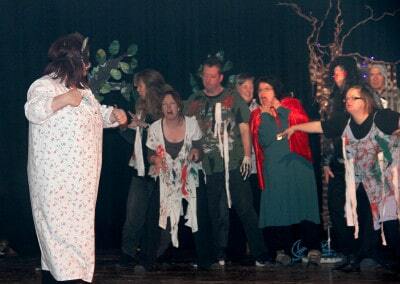 Since April they have produced a new myth around Llanfyllin’s famous lonely tree which blew over in a storm. 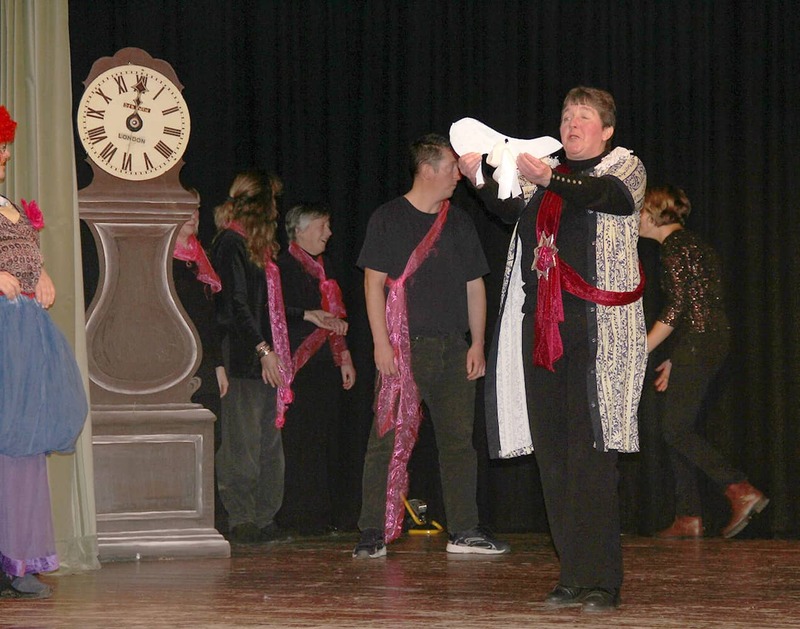 The story has been paraded and performed at local events including St Myllin’s Day and at the Workhouse Party to family audiences.